Chipotle Lawsuit Help – The Weinberg Law Firm is currently assisting victims of food poisoning outbreaks nationwide, including those sickened in the current Chipotle E. coli outbreak. We are ready to help you too. Please call 1-877-934-6274 for a free legal consultation. 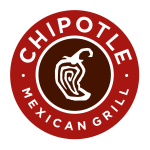 According to the U.S. Centers for Disease Control and Prevention (CDC), as of November 19, 2015, 45 people have been sickened in an E. coli O26 (STEC O26) food poisoning outbreak linked to Chipotle restaurants located in 6 states. The number of CDC confirmed cases by state is as follows: California (2), Minnesota (2), New York (1), Ohio (1), Oregon (13), and Washington (26). The CDC is only reporting on cases that have been confirmed to date by its database “PulseNet.” PulseNet allows the CDC to compare the “DNA fingerprints” of bacteria isolated from patients in order to identiy those infected with the outbreak strain of E. coli. Available illness onset dates have ranged from October 10, 2015 to November 8, 2015. Sixteen of the confirmed cases have required hospitalization. A specific food linked to the outbreak has not yet been identified, however, the CDC stated that “epidemiologic evidence available at this time suggests that a common meal item or ingredient served at Chipotle Mexican Grill restaurants in several states is a likely source of this outbreak.” The investigation is considered ongoing. A diagnosis of E. coli foodborne illness can usually be confirmed by performing a stool culture, a type of laboratory test that can detect the presence of the bacterium in an infected person’s stool. Your doctor can order a stool culture if he or she thinks testing is necessary. The Weinberg Law Firm is currently assisting victims of food poisoning outbreaks nationwide including those sickened in the Chipotle E. coli outbreak. If you or a loved one was sickened and you have a question regarding a Chipotle lawsuit, please call our law firm at 1-877-934-6274. You can also contact us online by using the “Free Legal Case Evaluation Form” found on this page.